The terrace restaurant sets the scene for a romantic holiday with the lake at the forefront. Boat trips to Bogliaco, Palazzo Bettoni, Gargnano, Palazzo Feltrinelli, Villa Feltrinelli, and the Santella dei Pescatori. 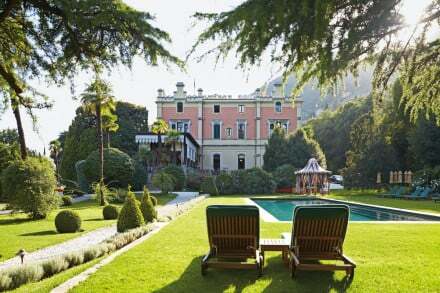 Because it's right on the shores of Lake Garda, with the mountain peaks of the Parco Alto Garda Bresciano nature reserve as its backdrop and the warm welcome given by the Arosio family, who have owned and run the hotel personally for three generations. 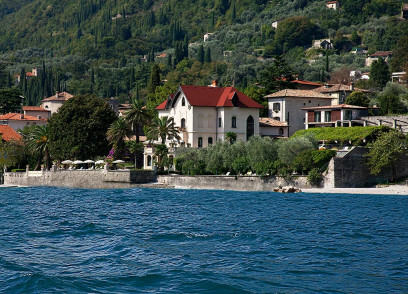 Boat excursions on the Lake, walks in the Alto Garda natural park and visits to nearby historic towns. Plus lemon groves, Wine tastings and marmalade tastings. Relax at the "Lido dei Limoni”, only 200 m from the hotel. Rent paddle boats, kayaks and bicycles. Sit in our garden by the Lake and enjoy the first rays of morning sun as you eat your rich buffet breakfast. W serve Breakfast, Lunch and Dinner. In the “Rivalago” Restaurant of “Hotel Gardenia al Lago”, Chef Igor Trivella’s cuisine pamper the guests with some culinary treats, inspired by the traditional local cuisine and enhanced by the excellent quality of local products such as citrus fruits, capers and extra-virgin olive oil produced directly by the owners. Candlelit dinners are served either inside a veranda with a superb view of the Lake or on a summer terrace opening on the banks of the lake, an idyllic spot shaded by olive trees and laurels.The historic stone cellar offers a selection of excellent wines from local and national producers, and, every week, it hosts wine-tasting events for unforgettable taste experiences. The most popular are the “Benaco”, the “Panorama” and the “Belvedere” Rooms. These are the spacious rooms that overlook the lake and offer an exceptionally comfortable romantic refuge and a view beyond compare. All these rooms have their own balcony from which guests can enjoy romantic glimpses over the blue of the lake and the green of the mountains. We don't have particular facilities for children. Children in parent’s room: € 10,00 per day. With child cot € 15,00 per day.